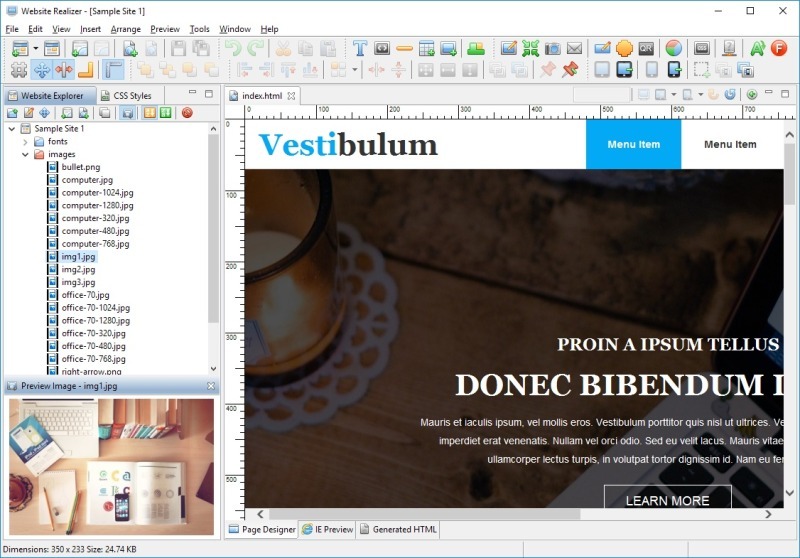 Adritech Software has released Website Realizer v. 2.0.1, a Windows application that makes it simple for creating professional websites that will work on desktop, tablet and mobile devices as it supports Responsive Web Design. The trial version of Website Realizer can be freely distributed over the Internet in an unchanged form. Website Realizer End User License Agreement Copyright (C) 2009-2017 Adritech Software Company Limited All Rights Reserved NOTICE TO USERS: CAREFULLY READ THE FOLLOWING LEGAL AGREEMENT. USE OF THE SOFTWARE PROVIDED WITH THIS AGREEMENT (THE "SOFTWARE") CONSTITUTES YOUR ACCEPTANCE OF THESE TERMS. IF YOU DO NOT AGREE TO THE TERMS OF THIS AGREEMENT, DO NOT INSTALL AND/OR USE THIS SOFTWARE.